Pour syrup in bottom of glass, mix remaining liquids in a shaker with ice and pour. Top with mini marshmallows. If you really want to get fancy you can rim the glass with chocolate syrip dipped in crushed graham crackers. That’s all I have for now. 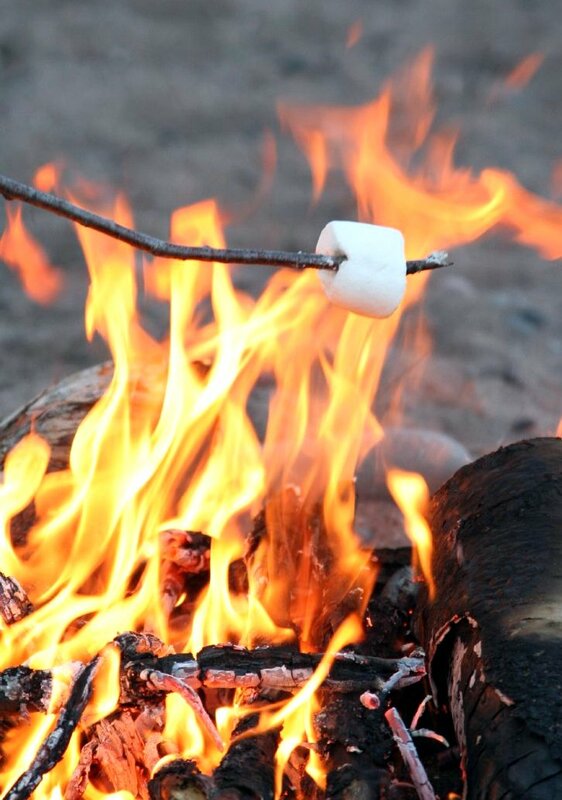 What is your favorite way to make a s’more? This entry was posted in Camp Cooking, Title. Bookmark the permalink. ← Rain: The Camper’s Worst Enemy or a Blessing? Aunt Peggy says to push a Rolo candy inside the marshmallow before toasting for a wonderful “inside-out” smore! We will sure have to try it out!